Our spelt flour, stone ground from plump spelt berries, is packed with more protein and fiber than whole wheat. Spelt is an ancient cousin of wheat and its slightly nutty flavor has long been popular in Europe. Spelt gluten is highly water-soluble making it easier to digest than wheat gluten. This makes it a great substitute for wheat especially for those who have difficulties with wheat allergies. 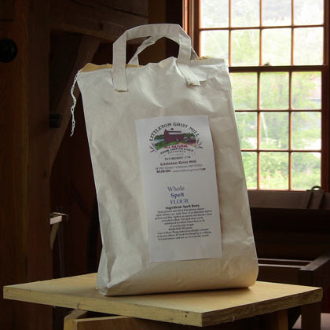 Use this flour as you would our whole wheat flour.